I don’t have an iPad (yet) but this cool gadget could very well make me rush out to buy one. Mission accomplished – they got their iPads and returned to Melbourne. 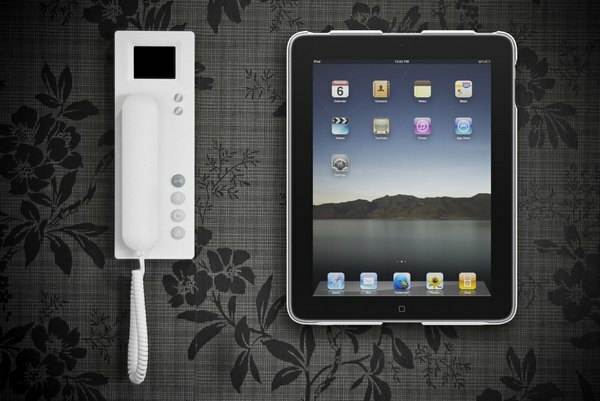 Soon after they realised that to use their iPads the way they wanted – next to the phone for quick message taking and calendar checking, in the kitchen to follow recipes, the bathroom for relaxed movie watching and the hallway to display pictures of family and friends – the iPads needed to be hung up. The Wallee is $49.95 and available directly from the designers at The Wallee. Extra wall mounts are available for $10 each so you can set one up in every room in the house if you like.